Theresa May’s claim that the Conservative party is the true representative of working people at the wrong end of society’s inequalities is surreal, but it does locate her within a distinct political tradition. Understanding that tradition is therefore vital to understanding where the United Kingdom might be heading under her leadership. Since she is just one of a number of similar politicians dotted around the advanced world at the present time, this is not just an issue confined to one country. There is Donald Trump in the USA, Marine Le Pen and the Front National in France, Geert Wilders in the Netherlands, the Freedom Party in Austria, Viktor Orbán in Hungary, the People’s Party in Denmark. May’s claim is surreal, because the Conservative Party continues to be primarily the party that represents wealthier people and opposes strongly redistributive taxation. May herself does not claim to be an egalitarian. She presents herself as the defender of ordinary working people, just managing families, those living in neglected regions, etc., without challenging the overall framework of inequality within which the problems of these variously categorized groups is defined. She also plans to use Brexit to achieve a ‘Singapore’ status for the UK. Singapore – apart from being barely democratic – is a tax haven that provides very little public social policy for its citizens. A similar stance is adopted by the United Kingdom Independence Party (UKIP). UKIP, like May, insists that it represents the ordinary working people who have been ignored and spurned by the elite. But it believes in lower taxation for the wealthy (and presumably therefore reduced social policy and public infrastructure spending), and (again like May) the revival of grammar schools, which notably reduce the educational chances of children from lower and middle-income families. Much the same can be said for Donald Trump. He speaks passionately about the neglected working class, who have suffered at the hands of an elite; but his policies include cutting taxes for the rich and deregulating the financial markets, the behaviour of the operators in which were among the main causes of the discontents of many US workers. There is nothing new in conservative politicians arguing that lower- and middle-income people can thrive only if entrepreneurs, company directors and the rich in general are allowed to run ahead of the pack, creating wealth that will eventually trickle down to everyone else. But that appeal stresses a shared interest among elite and mass. What is distinctive about May, Trump, Le Pen and the rest is their rhetorical attacks on elites, which are nevertheless combined with a defence of authority and tradition. The paradox is resolved by the nature of the sins for which elites are criticized: they are not attacked for being rich, but for allegedly siding with various kinds of foreigner – foreign countries, immigrants, ethnic minorities – against native, national working families. It is in fact only a certain kind of elite that is being attacked: the adjective ‘liberal’ is usually attached to the noun. The stance of May (or Le Pen or Orbán) would be impossible without the European Union and immigrants being available to stand as the enemies, favoured by liberal elites, of native British (French, Hungarian) people. Mexicans, Moslems, the Chinese and Germans similarly enable Trump to reconcile his own contradictory position. Xenophobia is essential to the ability of this kind of politics to square the circle of its rhetorical support for both traditionalism and ‘ordinary working people’. These politicians are distinctive, but they are not historically unique, and they do belong to a recognizable tradition, though it is one which, because of the tension within it, tends to be unstable, making only occasional visits to the political scene. Its last major appearance was as Nazism and fascism. These too combined appeals to traditionalism with criticism of elites, using an intense nationalism and the identification of foreign enemies and ethnic minorities to square the circle. This is not to argue that this political position is always fascist. Distinctive of Nazism and fascism was an official commitment to aggressive war and physical violence; accusations of fascism can only be launched at occupants of this political position when they move to such a stance. However, the association of xenophobia with fascism restrained mainstream right-wing politicians from exploiting it for decades after the Second World War. Several developments have come together to change this and encourage conservative – and some social democratic and neoliberal – politicians to enter formerly forbidden territory. First is the collapse of true conservatism. Almost no-one defends traditionalism any more. Its religious base having almost disappeared (in Europe though not in the USA and Islamic lands), established conservative parties have become committed to change, both neoliberal economic change and social liberal changes in gender, sexuality and other areas of life. The class identities of industrial society that supported conservatism, liberalism and socialism alike have declined alongside industrialism itself. But tradition as defence of The Nation has acquired new prominence through the separate but related phenomena of globalization, immigration, waves of refugees and Islamic terrorism. People with a strong interest in politics find it hard to understand that a large majority of their fellow citizens feels touched deeply by politics only when a social identity that is important to them has clear political implications. Class and religion used to provide such links, especially when they were the focus of struggles over inclusion and exclusion. If one knows one is a member of a class (or religion) that is being excluded from citizenship rights, or which is benefiting from privileges from which certain others are or could be excluded, then one knows whose side one is on in the major political struggles of the day. Nation and ethnicity provide further social identities of this kind. As class and religion decline, while globalization increases the salience of nation and ethnicity, these latter leap to a new, potent salience, reaching across classes. Can a commitment to liberal values and enjoyment of the benefits of multiculturalism rival them and provide them with a serious antagonist in the politics of the 21st century? 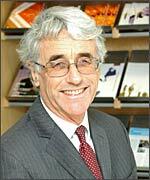 You can read Colin Crouch’s article ‘Neoliberalism, Nationalism and the Decline of Political Traditions’ here.